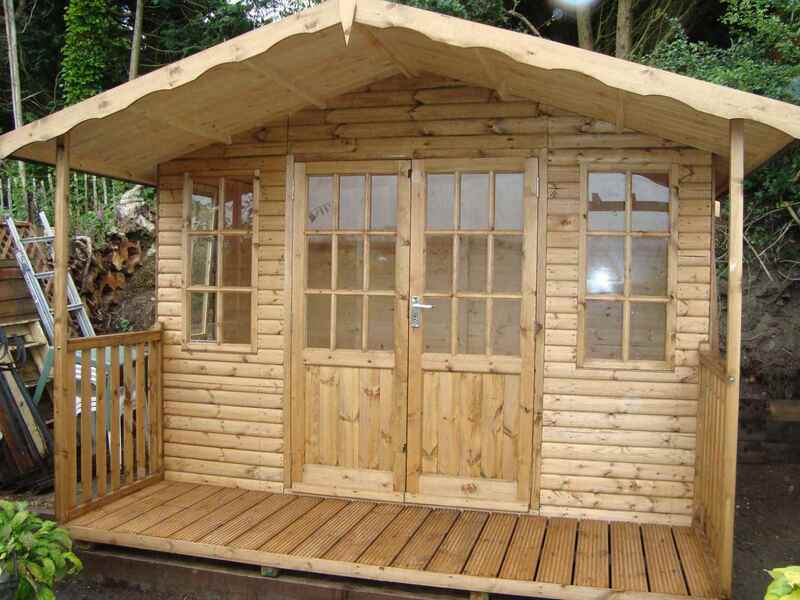 Hampton 10×6, Heavy Torch-On Felt, Log-Lap Cladding. 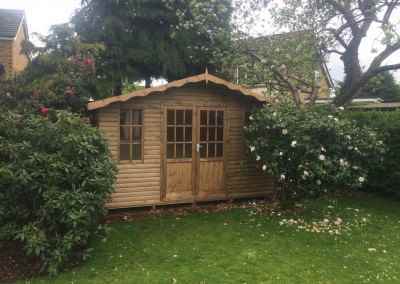 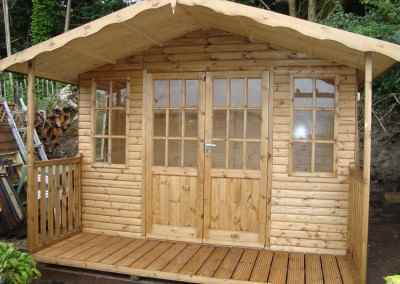 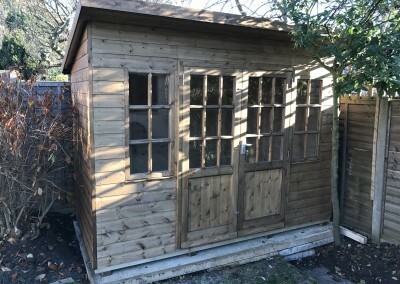 Hampton 12×8, Log-Lap Cladding, Shed Compartment. 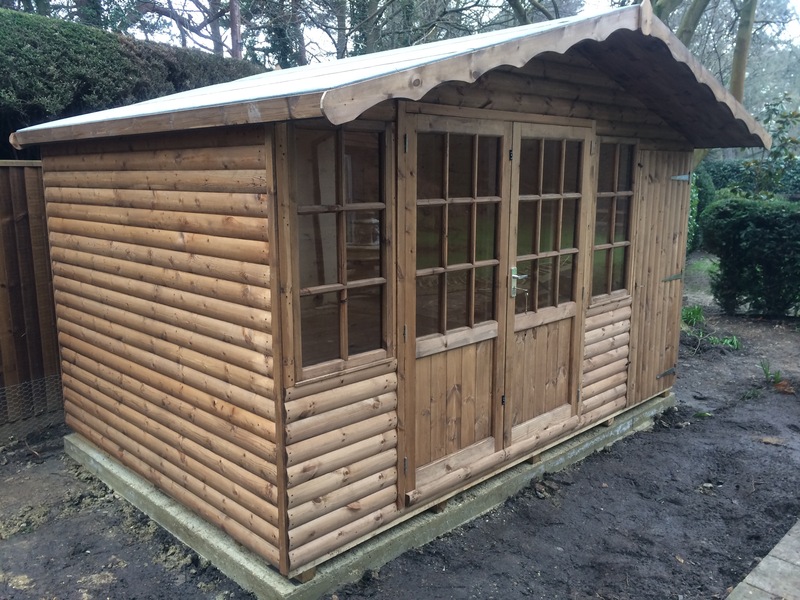 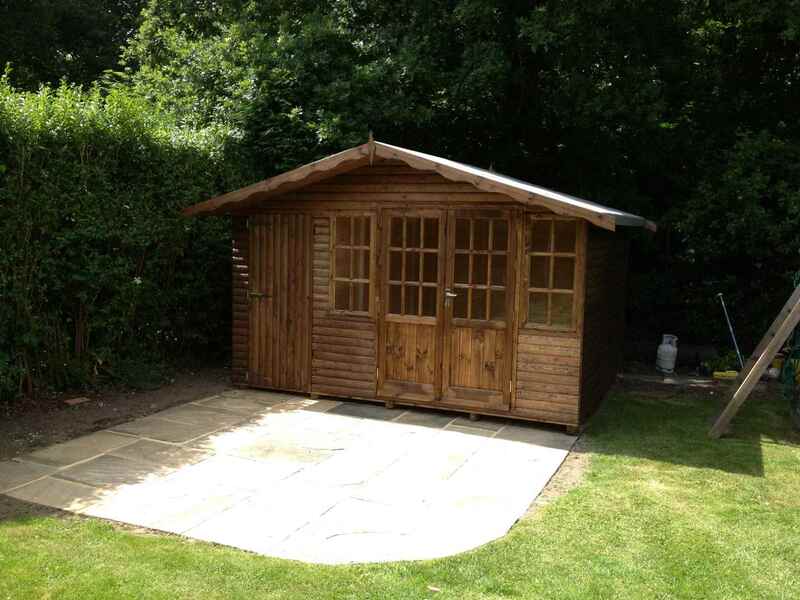 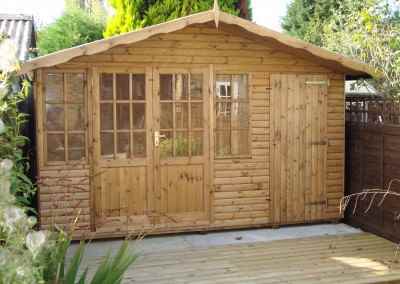 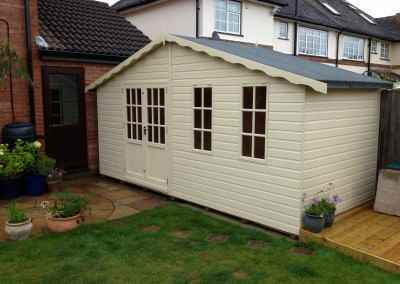 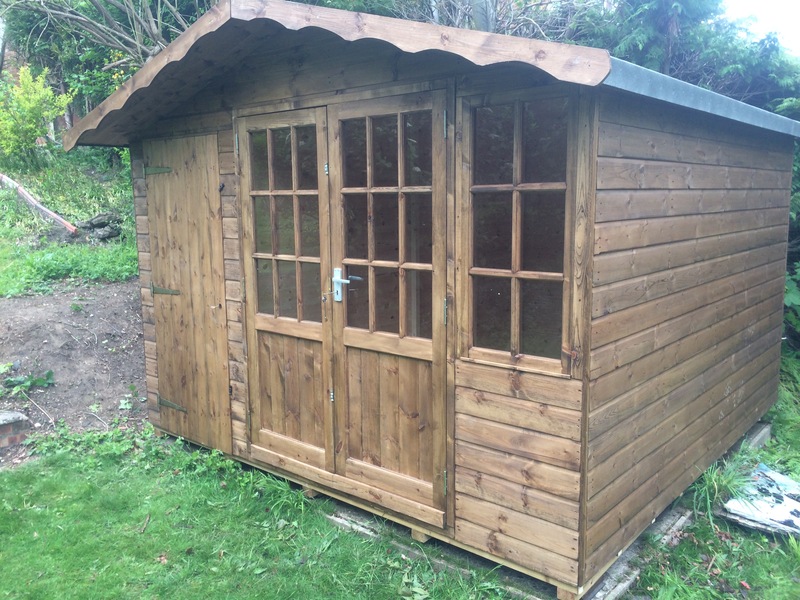 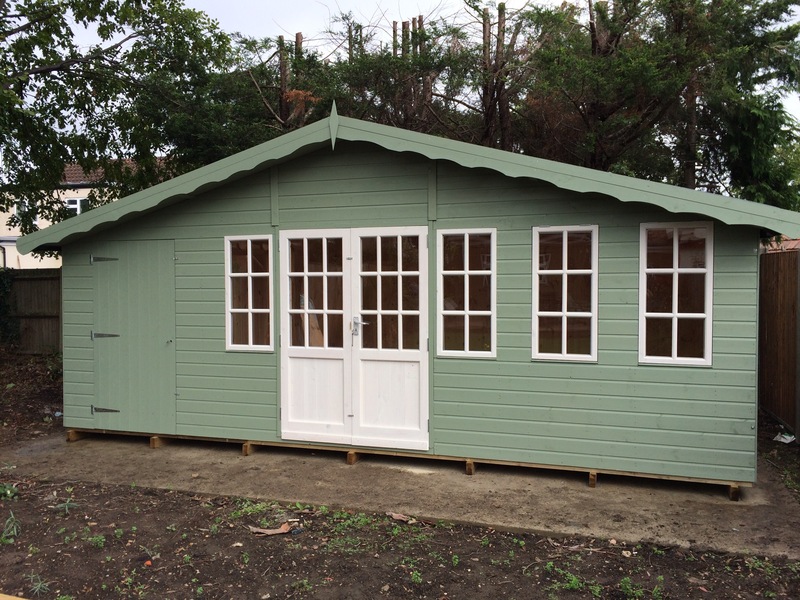 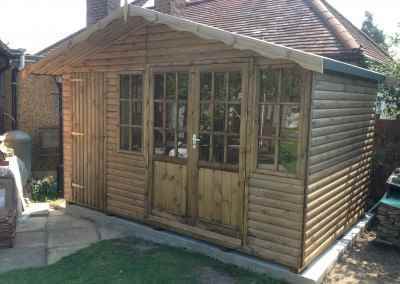 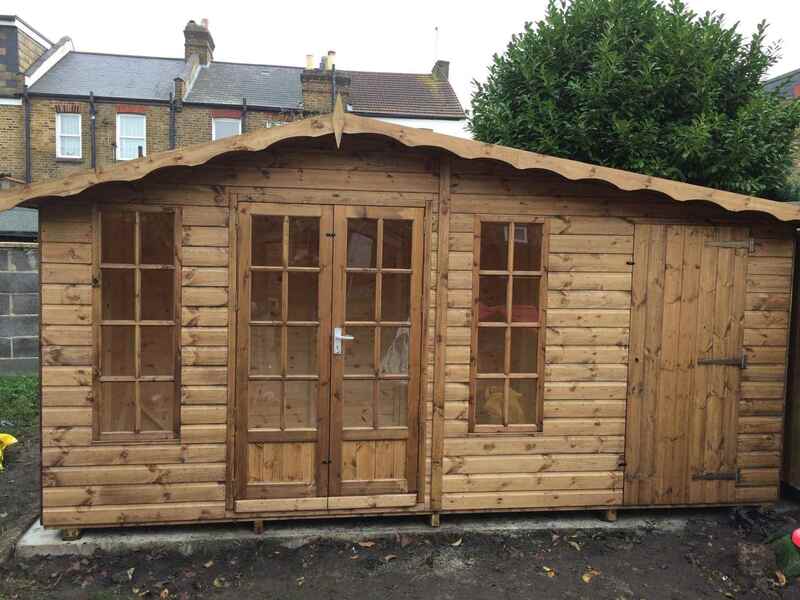 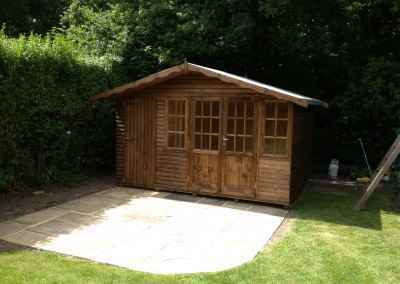 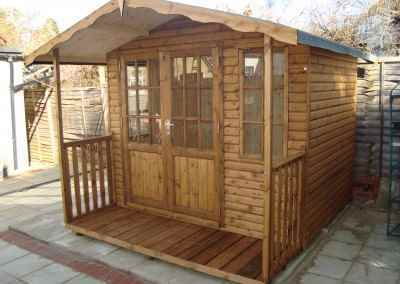 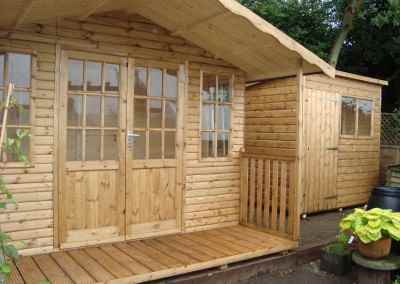 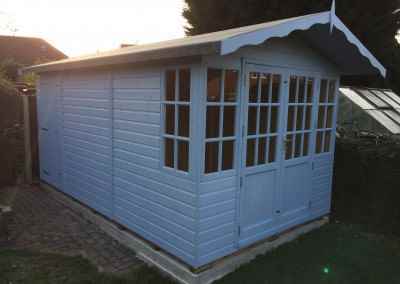 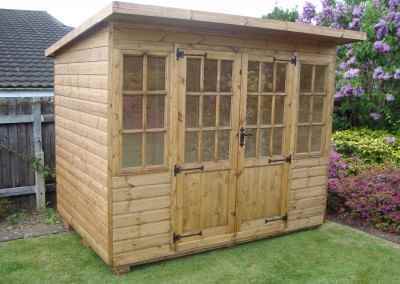 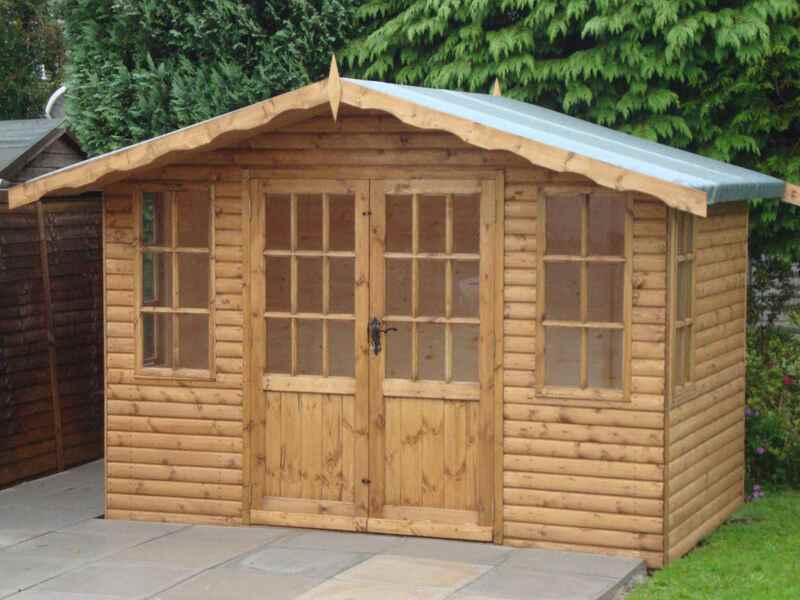 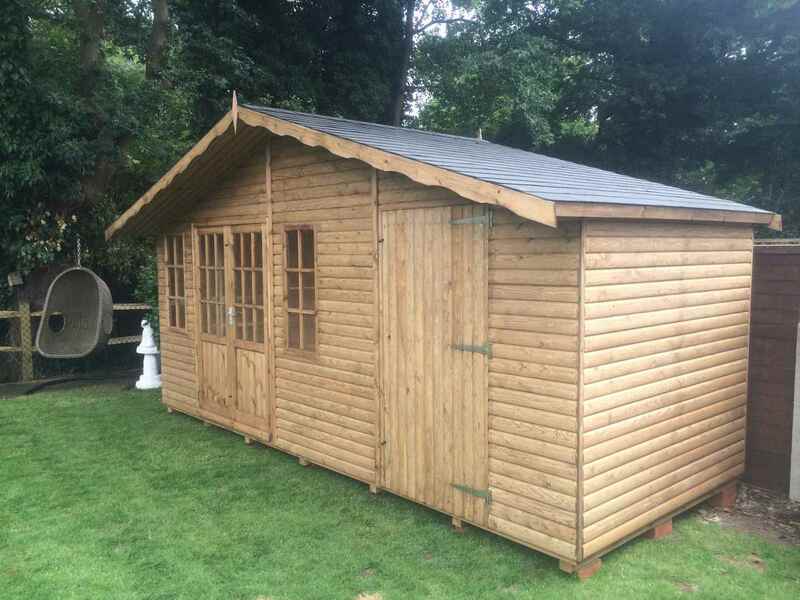 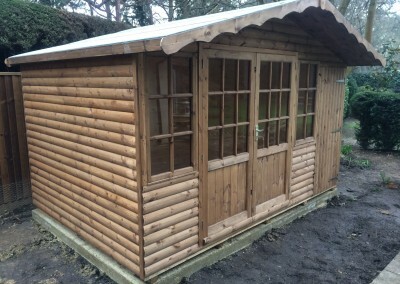 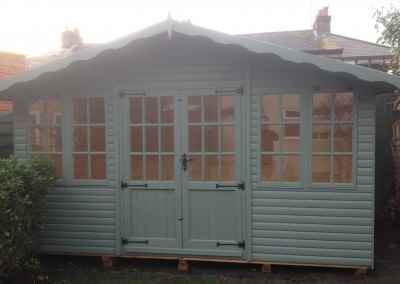 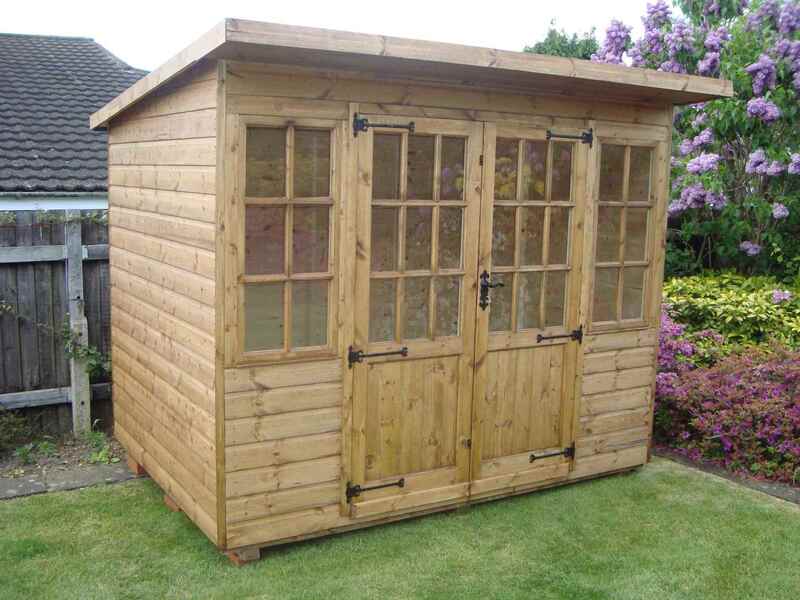 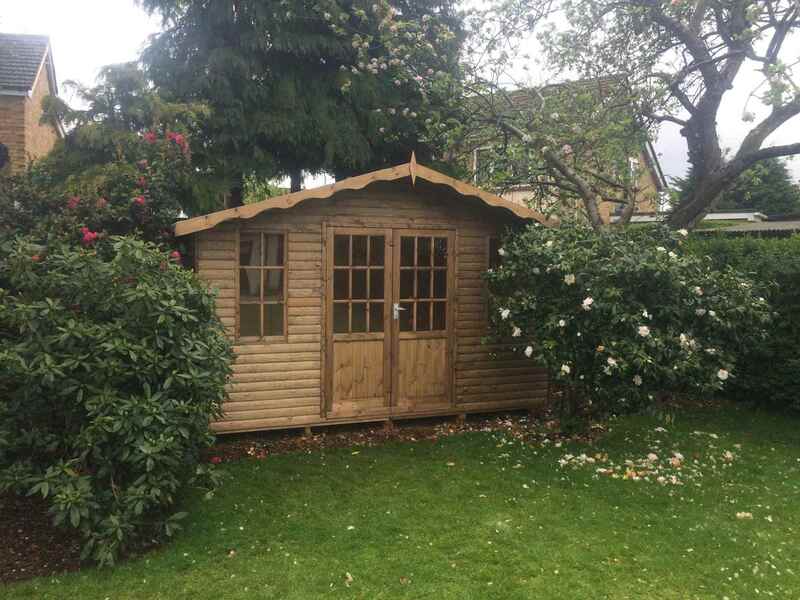 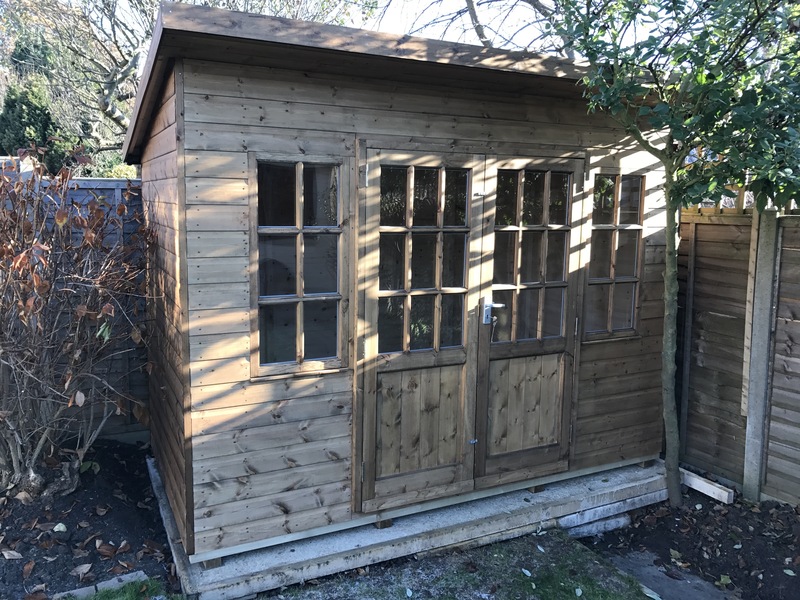 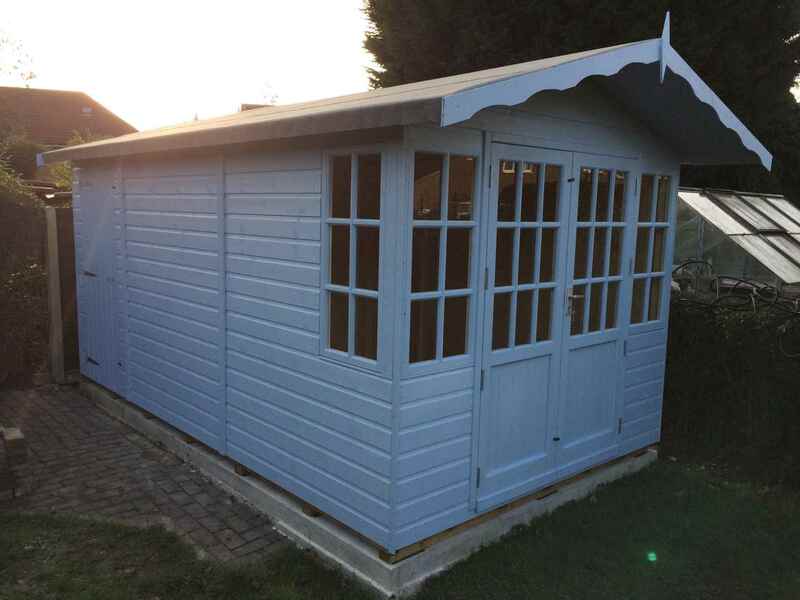 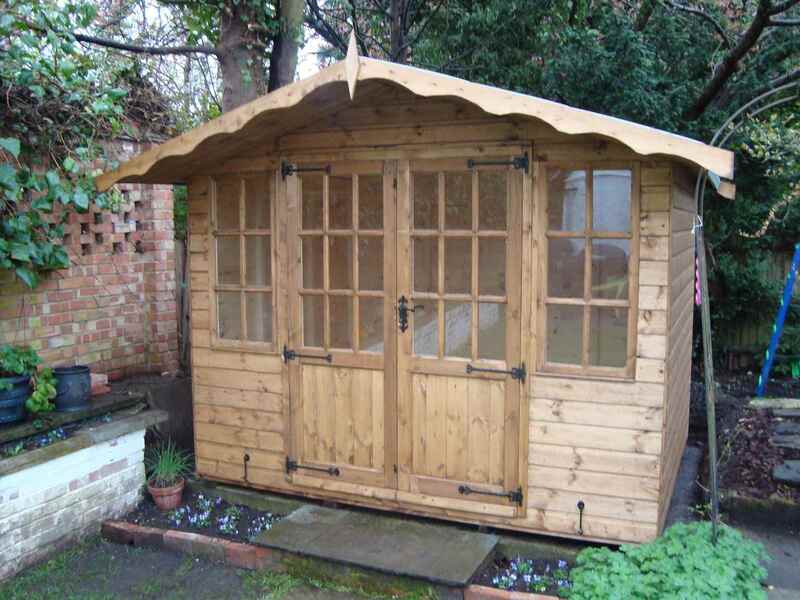 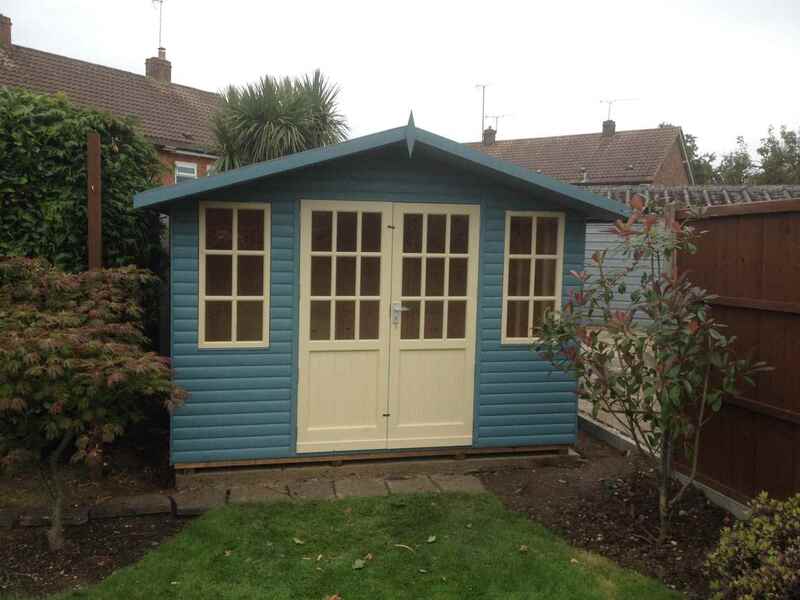 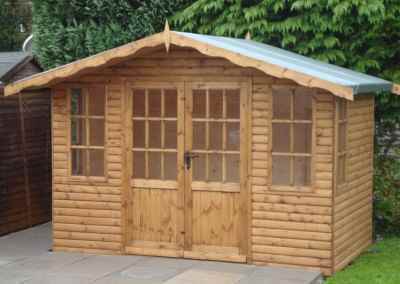 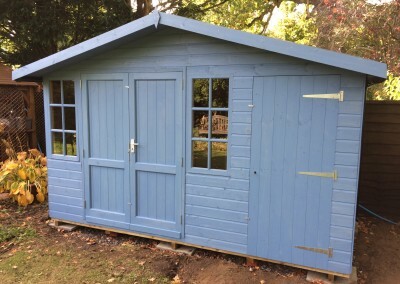 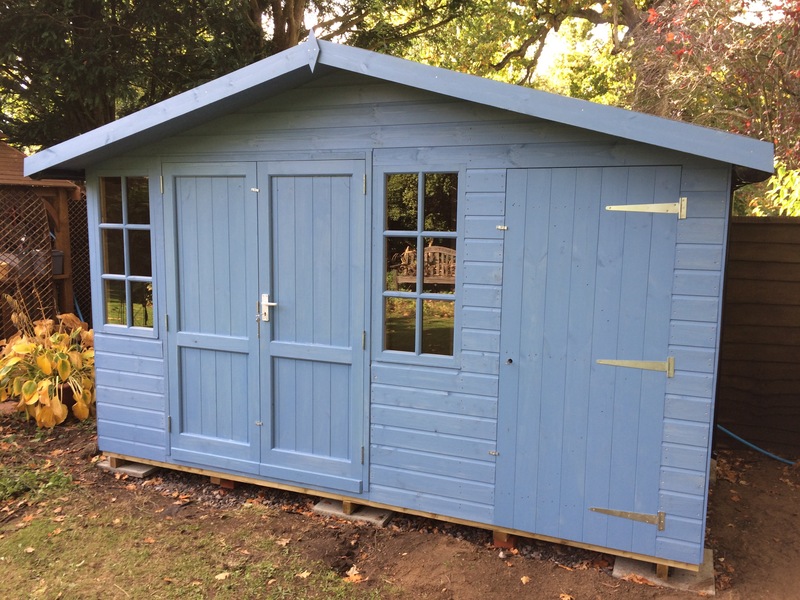 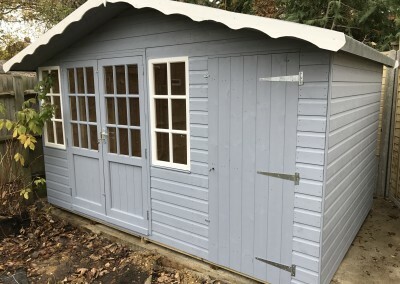 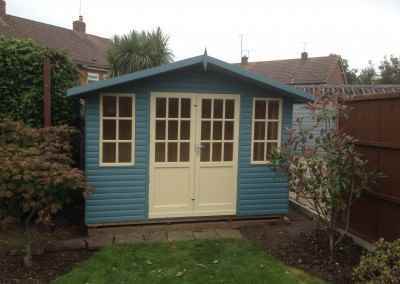 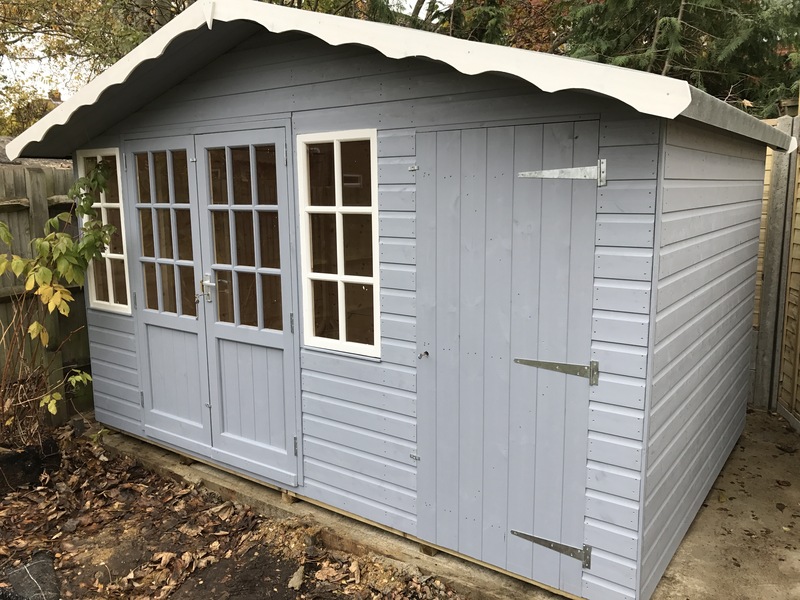 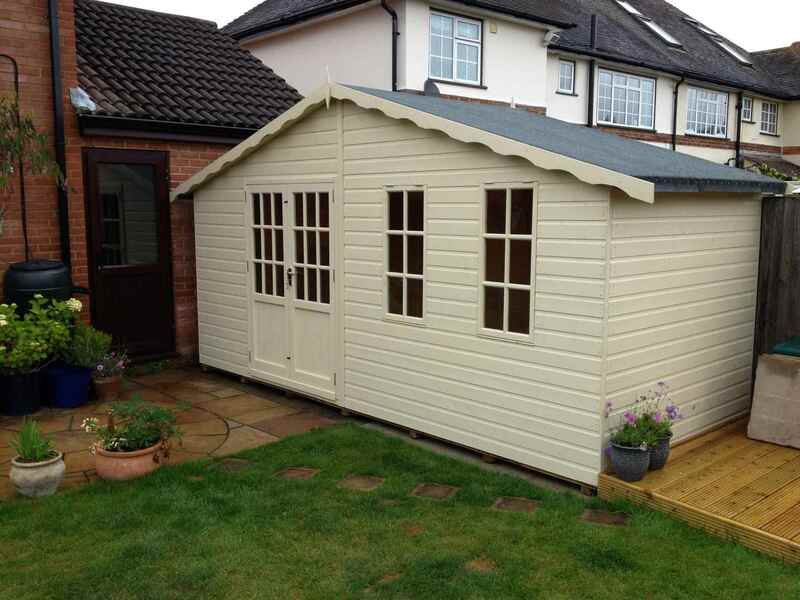 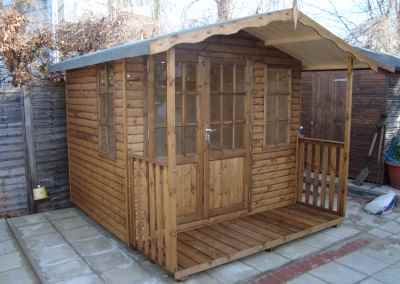 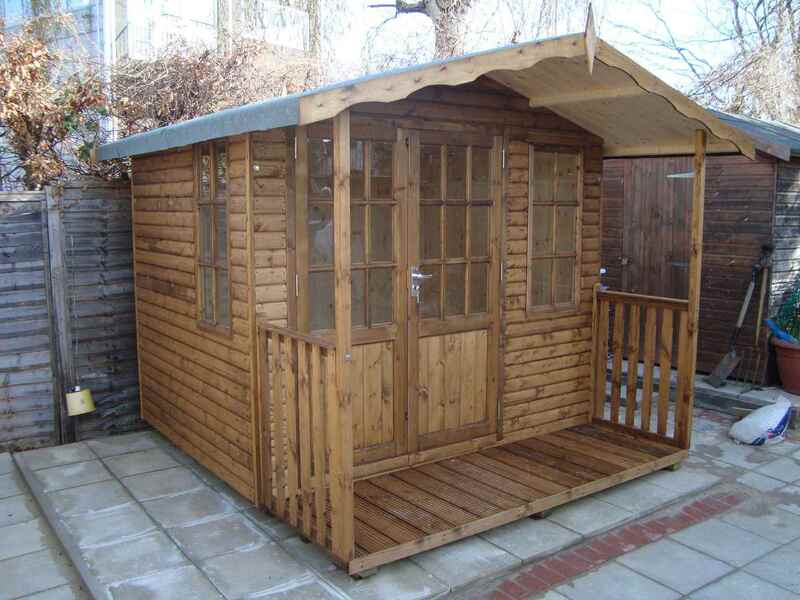 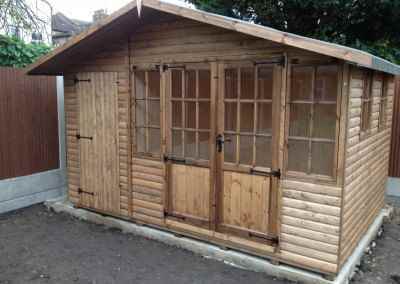 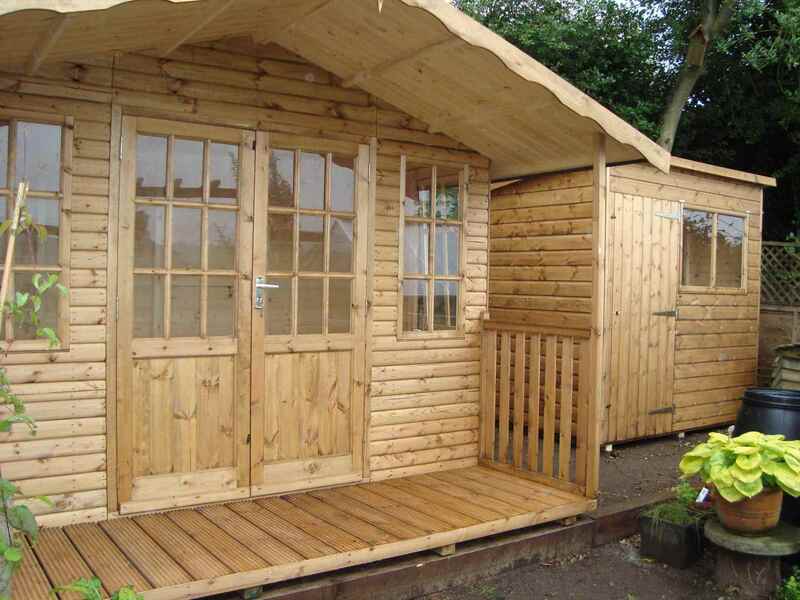 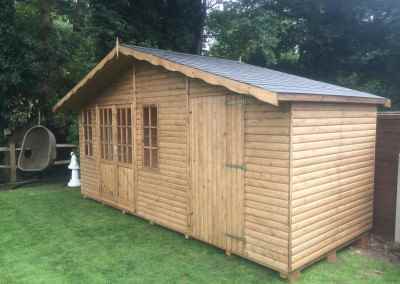 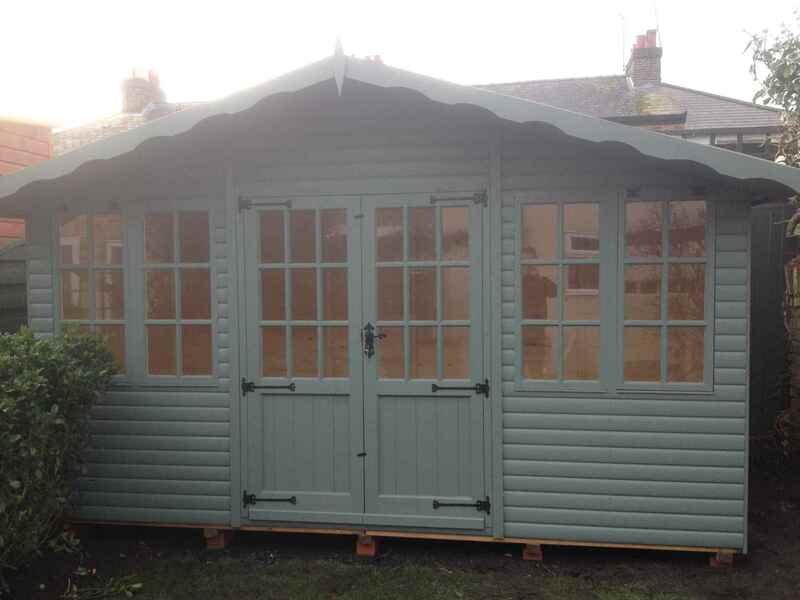 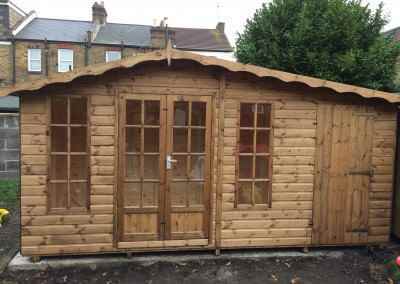 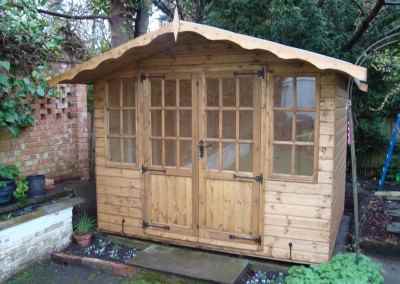 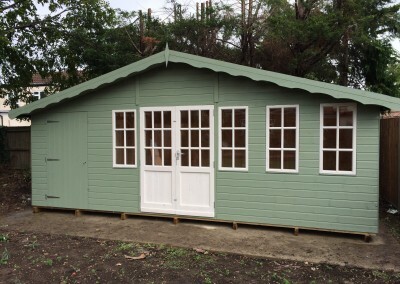 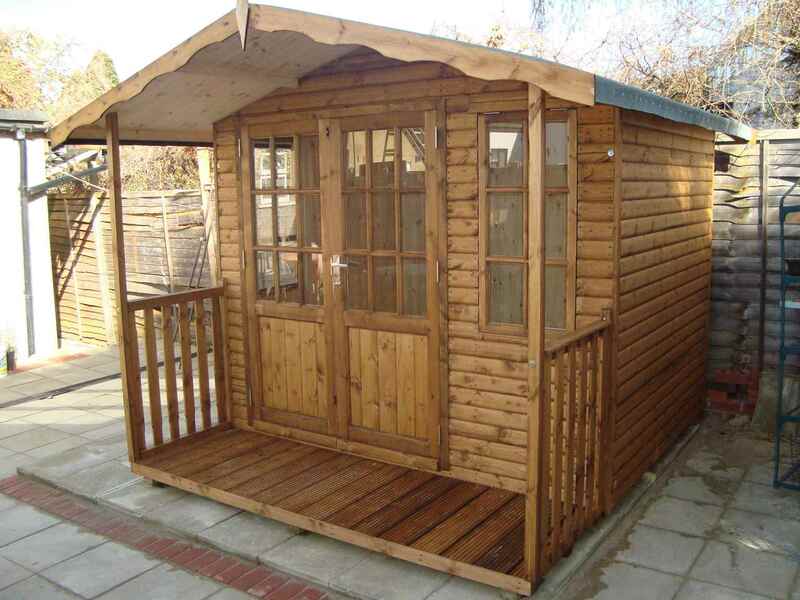 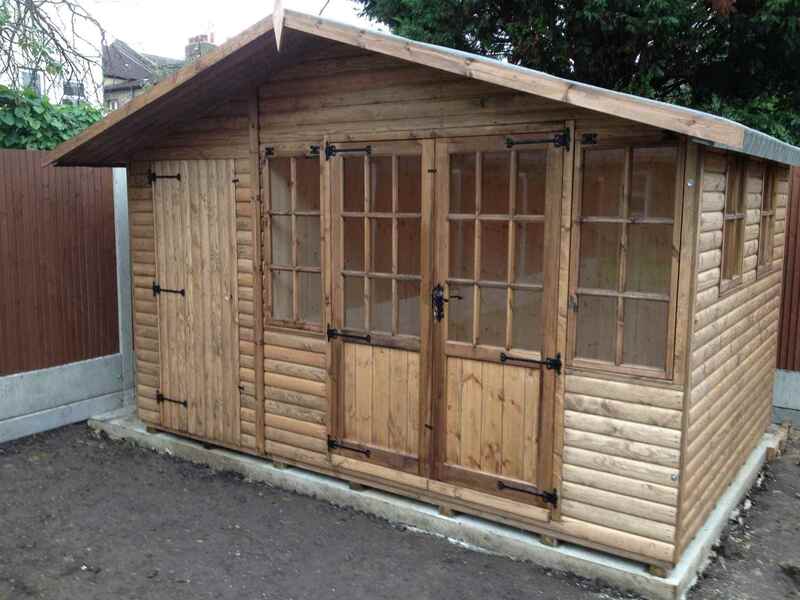 Hampton 12×8 with Log Lap Cladding.